Seifukujitsu is a 1500 year-old healing system based in Chinese Medicine that utilizes therapeutic bodywork and energetic exchange to aid patients in “returning to normal.” Students of the Danzan Arts begin the study of this system by learning the “Long-Life” restoration bodywork kata. This unique deep-tissue style is a mindful practice. The benefits of its application are shared by both the giver and receiver. Traditionally, martial arts masters were also required to train as healers. For obvious reasons, instructors were often first on the scene of many an injury. But over the centuries, their training broadened to include therapies and treatments for all kinds of ailments. Modern day practitioners of the Danzan Arts are fast becoming the bodyworkers of choice for more than just warriors-in-training. The therapy they use, known as Seifukujitsu (say-fu-ku-jitsu) is a classical restoration system perfected by Samurai instructors and later by Japanese doctors in pre-westernized Japan. The system was brought to the United States in the early part of the last century by a Jujitsu and healing master named Henry Seishiro Okazaki. Professor Okazaki left Japan as a teenager and moved to Hawaii, where he trained in the martial, healing and cultural arts. While in the islands, Master Okazaki’s traditional Japanese systems became influenced by the powerful Hawaiian systems of Lua (combat) and Lomi lomi (massage). The latter resulted in a unique Asian/Hawaiian therapeutic modality known today as Danzan Ryu Seifukujitsu. The treatment employs the use of fingers, palms, forearms and elbows in an exacting kata (form) that traces many of the body’s muscle channels recognized in Asian healing practices. The therapy increases range of motion in the joints and assists circulation, while stimulating several “Long Life” points taught by Professor Okazaki. Danzan Ryu Seifukujitsu therapists use their Ki (energetic intention) by being completely “in the moment” which serves to balance the recipient’s own Ki, which may be either excessive or depleted. 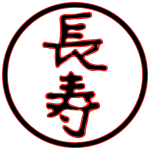 Click here to learn more about Danzan Ryu Seifukujitsu training!